Customers are more demanding than ever when it comes to food and beer, wines and spirits, and bars and pubs are evolving in response. Ignore the latest trends and you’ll likely struggle in what is a fiercely competitive trade. Although high-concept bars and the craft beer boom are more prevalent in Sydney and east coast metro areas, rural pubs are starting to feel the ripple effects. 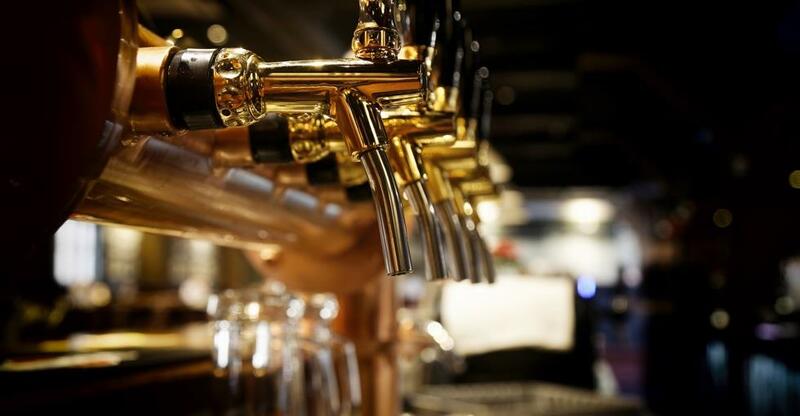 Wherever in the country you’ve bought a pub or bar, these tips are designed to crystallise your approach to finessing your business model. Recently bought a pub or bar? In the first phase of ownership you should familiarise yourself with how things work, make sure regular customers don’t see a drop in standards and placate and win over staff. Don’t make sweeping changes straightaway; listen and learn first. Invite feedback from staff and customers. This will surely win their respect as well as generate new ideas for improvements. Once you’re familiarised with your new role and business, including the latter’s strengths and weaknesses, then you can consider making changes. How does your pub stand out in a crowded marketplace? If you’re a small bar, the best approach is arguably to focus on doing one or two items really well – cocktails or craft beer for example. And it’s surely better to have a limited menu where every dish is finely honed rather than spread yourself thinly with a multi-page confusion of cuisines. A large family pub, on the other hand, might fare well with a diverse menu that keeps everyone in the family happy and a range of entertainment, like bands and pub quizzes for adults and soft play for the kids. Is the offering suited to the local demographics? If young professionals are flocking to the area then a traditional pub with no craft beers and an outdated menu might benefit from a major revamp. Is the offering similar to nearby competitors but executed less competently? If so, how difficult – and expensive – would it be to bridge the gap and then surpass your competitors? Or is it more realistic to carve out a different, underserved niche – whether that’s in providing value, specialising in craft beers or being family-friendly? Are you sure you’re getting the best deal from your suppliers? An excellent way to start negotiations is to prepare a detailed turnover and forecast document, so you can assess the consumption of each brand. You could ask spirits suppliers to pay an annual fee for their bottles to be on display behind the bar. Also find out if cheaper suppliers are available. In a competitive industry, investing in the most up-to-date technology will help put you ahead of the curve. Social media is a particularly effective means of engaging your audience in this most pro-social of industries. In fact, every 28 seconds an Australian hotel, bar or restaurant is tagged on Instagram, according to a report from Hootsuite. Engaging effectively, therefore, gives you an advantage over many competitors; less than 45 percent of hotels, bars and restaurants are engaging with social media users. Delivery apps, like UberEats, appear set to revolutionise the hospitality industry. Pubs can reach a broader audience – millennials in particular – and enjoy an additional income stream. Point-of-sale (POS) innovations can make it easier for customers to pay. POS systems can also now provide data about your customers, almost in real time. Understanding your customer and their purchasing decisions will help you tailor your offering. The general fundamentals of running a business apply, too, of course. There's a plethora of innovative tools that can help you avoid being tripped up by payroll tax, BAS, super and GST. Start with the ATO tax portal and you’re on your way. For all the promise offered by such innovation, the fundamentals of this age-old sector haven’t changed, nor are they likely to. “Be hands on: this is probably the most important piece of advice we can offer,” Bonnie Shearston and Tom Sanceau, co-owners of three bars in Brisbane, told Australian Bartender. She also has advice for anyone in the casual dining business. “It’s also important to know how to manage a team and understand how the different areas of the venue work – operating a restaurant is very different to managing a bar. Jaime Wirth and Michael Delany of Drink n Dine in Sydney offered a five-point checklist of commonsense advice: “Don’t drink too much. Trust instincts. Nurture staff. Spend money where you need to. Dance like people are watching,” they told Australian Bartender. Your efforts will build the value of your business as well as boosting takings. Read our guide to selling a pub or bar to find out how to find a buyer and maximise your sale price. Or you may not have even bought a business yet – so browse our pubs for sale now.